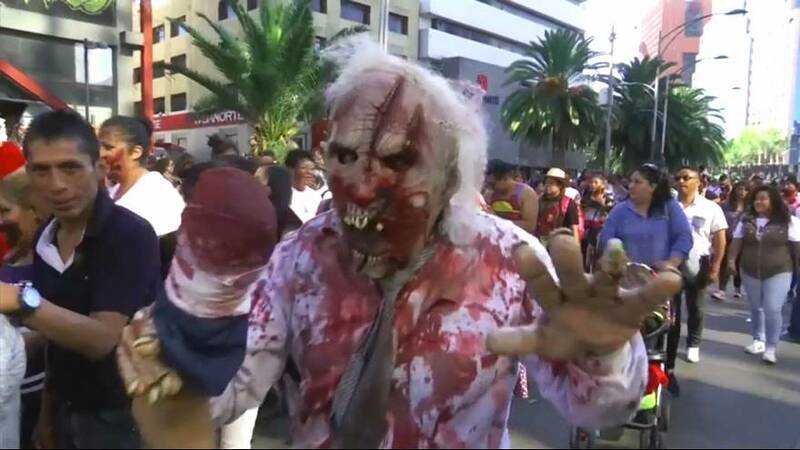 Tens of thousands of people gather in Mexico City for its annual zombie walk. Doused in fake blood, wearing torn clothing and masks, the ‘zombies’ walked 2.5 kilometres from the Monument to the Revolution to Mexico City’s central square, Zocalo. The walk, which celebrates the Day of the Dead, is now in its tenth year. Participants donated food parcels that will be given to victims of the recent earthquake that struck the city. The tradition of zombie walks started out in the U.S. but has since spread to Latin American countries and Europe.